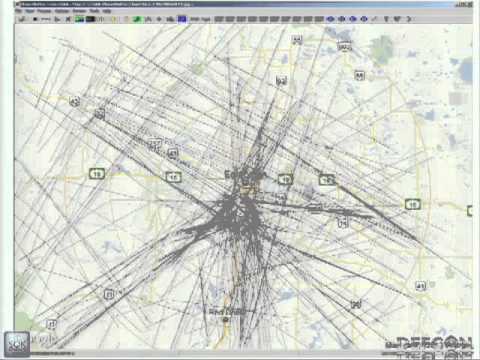 What happens when a hacker gets bored and starts looking at an aircraft tracking systems? This talk will look at ADS-B (Automatic Dependent Surveillance-Broadcast), a common technology installed or being installed on a vast majority of commercial airliners that involves an unencrypted and unauthenticated radio broadcast. This technology has some interesting features and weaknesses that are a useful lesson in failures when security is not built in from the beginning. This talk constitutes a work in progress and hopes to spur more research and investigation into this field. Brad Haines (RenderMan) CISSP, is a Whitehat by trade, Blackhat by fashion. A very visible and well known member of the wardriving and hacker community, he does whatever he can to learn how things work, how to make them better and to teach people the same. A firm believer in the hacker ethic of openness, sharing, and collaboration. Never afraid to try something new, he can usually be found taking unnecessary risks for the sake of the experience.